Sunday. I was walking from the temple nearby. There is big stone lamp in front of the temple. Recently one section of the lamp gave in to the forces of nature and broke down. So the temple authorities had it replaced with a shiny new piece. 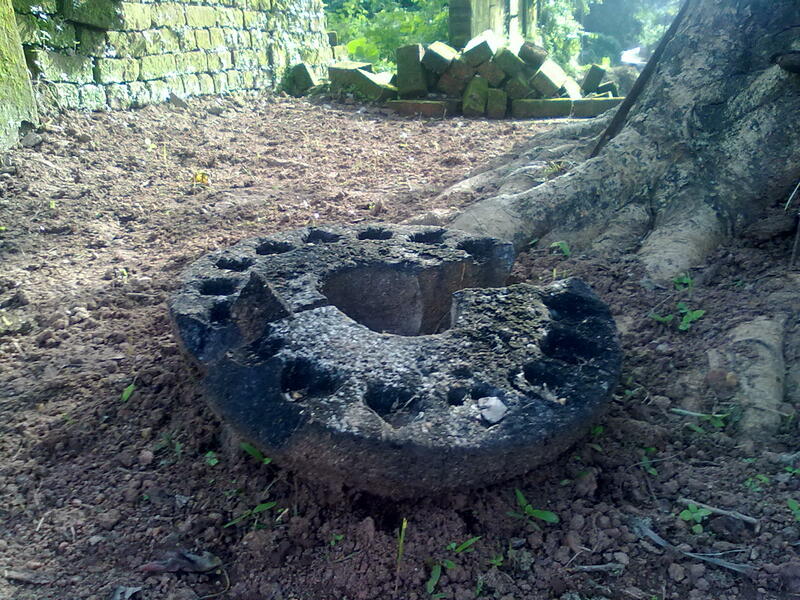 Abandoned broken pieces now lie near the old banyan tree. Once beholder of divine light, now merely broken stone.